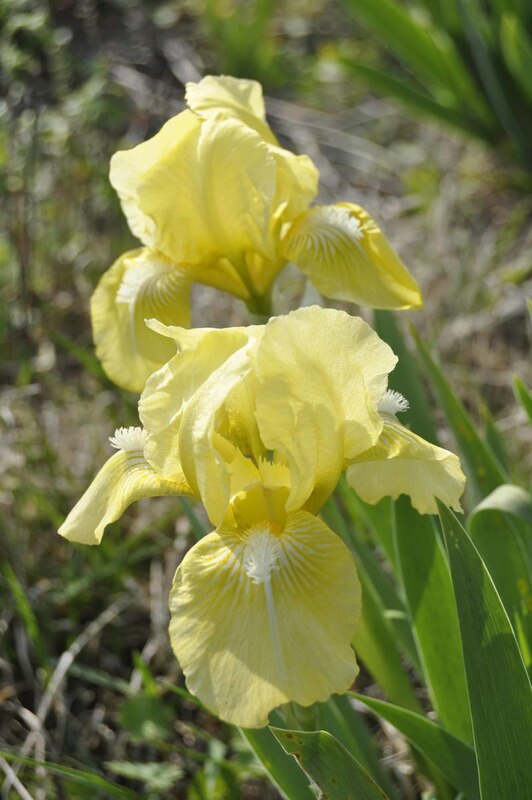 Up until the 1950’s only two very short bearded irises were found in our gardens; wild Mediterranean Iris lutescens, with purple or yellow flowers and a little Austrian native I. pumila that also has reddish brown flowers. Then two American iris breeders who lived 500 miles apart began posting pollen to each other taken from irises flowering in their gardens. Geddes Douglas, a resident of the southern state of Tennessee, sent pollen from tall irises flowers up to Paul Cook in the northern state of Indiana. Cook returned the favour and posted pollen from short flowering Iris pumila down to Douglas. Both used the pollen to pollenate Bearded irises of different heights. 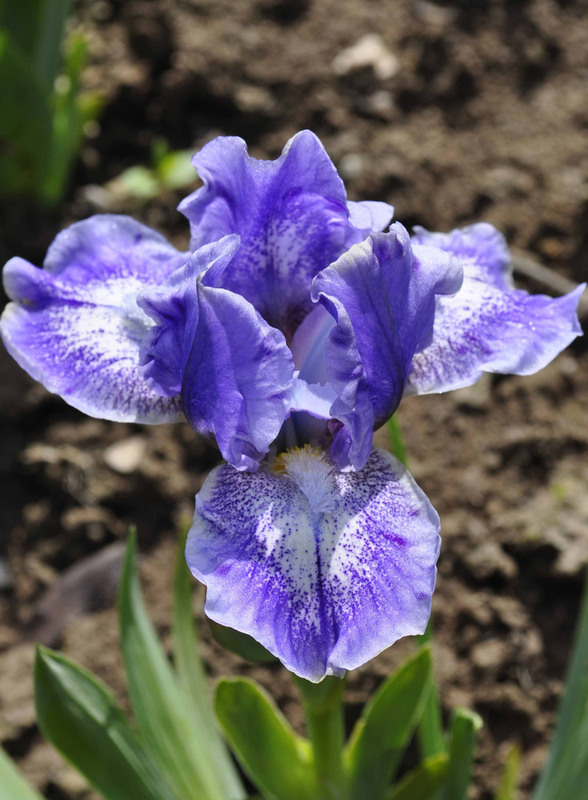 The offspring became known as Standard Dwarf Bearded irises, a name coined by the American Iris Society. 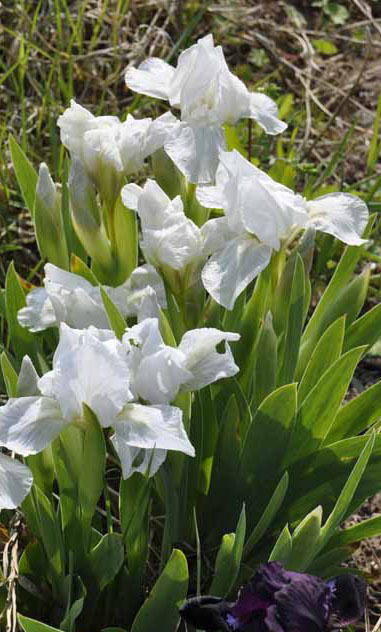 The first introductions are still available today including Iris ‘Lilli-white’ and ‘Green Spot’. Since then thousands of varieties have been introduced. 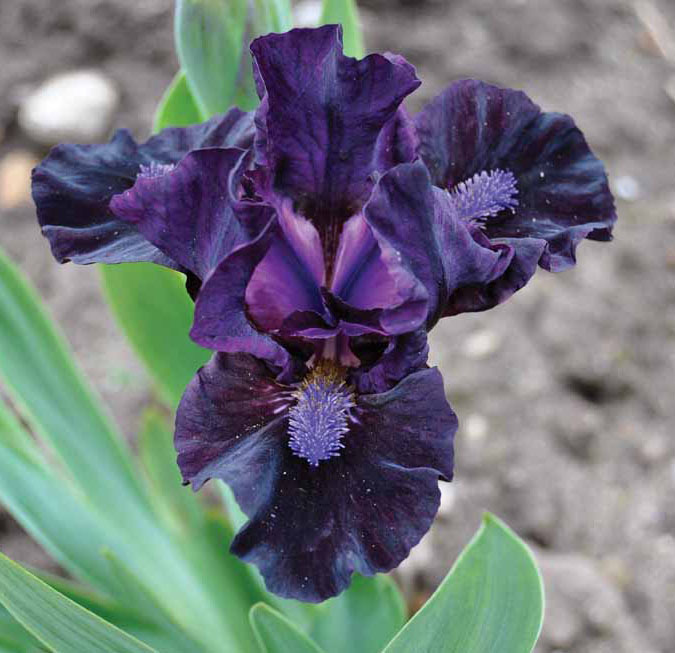 The oldest of these have falls (the three lower petals) that drooping down, whereas more modern varieties, such black Iris ‘Panther’, have falls that flare outwards. This trait creates a more colourful clump when viewed from above. The beards also add further colour, drawing the eye to the flower, as is the case with lovely award winning Iris ‘Bluebeard’s Ghost’. 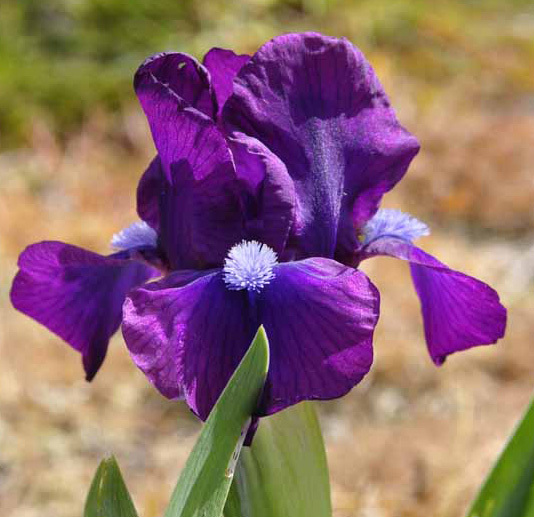 Bearded irises are very hardy, but some are more vigorous than others. The toughest varieties we grow on the nursery were raised in Canada, a country with long, harsh winters. Vibrant purple Iris ‘Heather Carpet’ is incredibly tough as is and soft blue flowered Iris ‘Forever Blue’, which multiplies so well it produces a second flush of flowers from mid summer onwards. 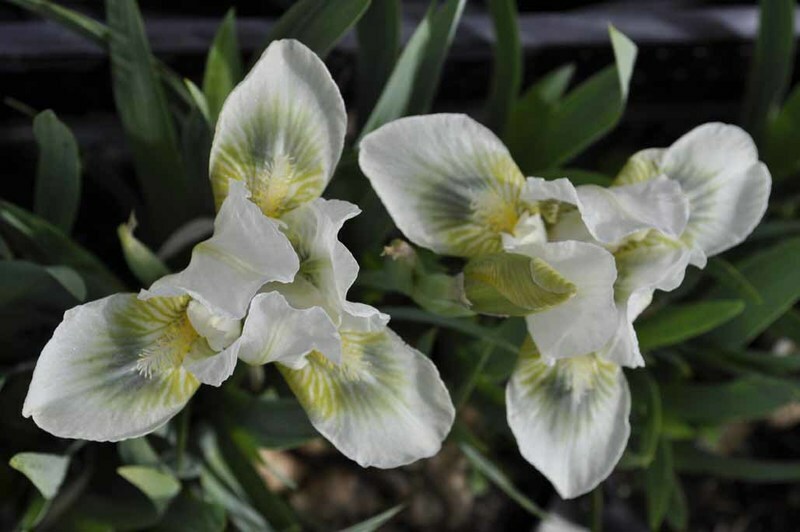 This is known as remontanting and another reliable remontant dwarf iris is pale yellow ‘Baby Blessed’. 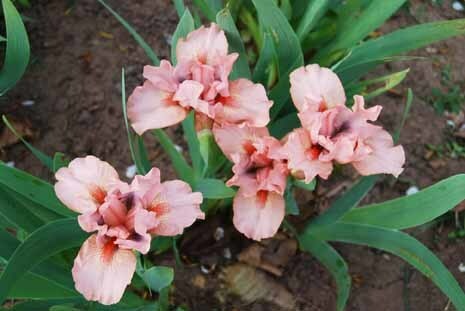 Less hardy, and more susceptible to rotting in damper soils are Bearded irises with pink flowers. Pink flowered dwarf bearded irises can be tougher than taller varieties. Iris ‘Pussycat Pink’ with glowing pink flowers and peachy pink Iris ‘Chanted’ were both raised by Paul Black in Oregon, USA. Paul has spent much of his life perfecting these little gems and over the years we have added more of his delightful irises to our collection including Iris ‘Whee’ and Iris ‘Ultimate’. I grow dwarf irises at the front of a border next to early flowering, low growing hardy geraniums, little catmints and geums. 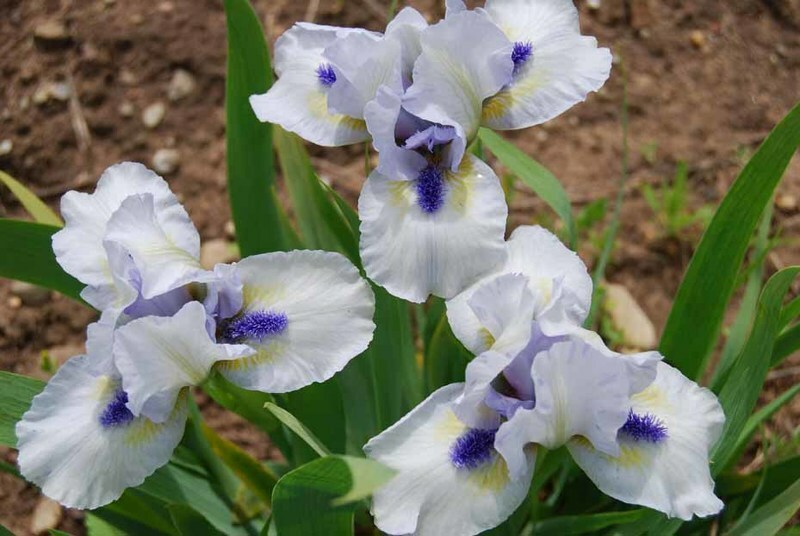 They can be planted with other bearded irises to extend the iris flowering period, or even grown in containers for a few years. 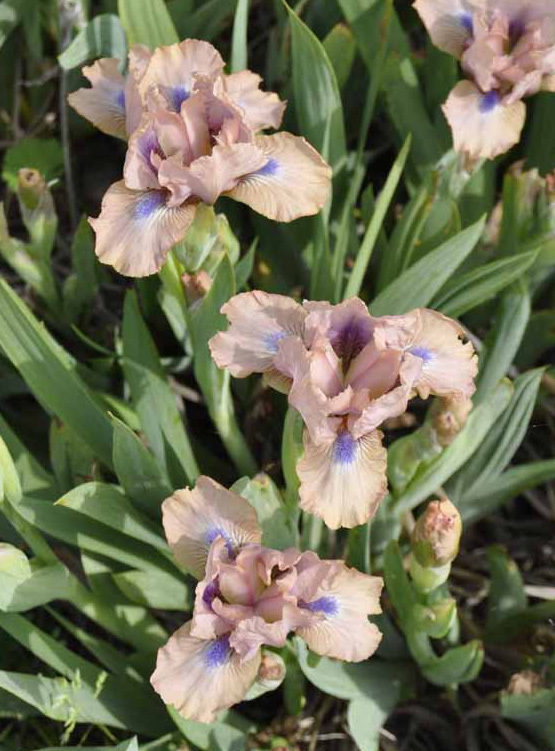 Like all Bearded irises, dwarf irises like a well-drained soil in a sunny position.